Each person is, if they choose to be, a work in progress. 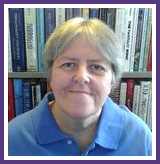 Some are on healing and recovery journeys from past trauma or even more recent trauma. Many are on the road less traveled – the seekers of more self-knowledge, self-awareness, and self-understanding. Those willing to practice radical acceptance and mindfulness. Living life through its challenges. Are you aware of what is known to you, unknown to you, known by others but not you, or what is not consciously known about you at all? No one is perfect. We all make mistakes. Yet so many people are their own worst enemy. Why? If you grew up with these unhealthy rules that impede individual development, you likely grew up in an invalidating toxic dysfunctional enmeshed domineering family environment or system that did not encourage your becoming your authentic autonomous self. Coming from these types of families leaves a legacy that must be unlearned. No family, even the most functional, emotionally available and loving is perfect. Some of us are sensitive souls. Sensitivity that meets with invalidation wounds. Anything less than secure attachment in childhood leaves many much work to do in their adult relationships. Being a work in progress, open to personal development, personal growth, and living the “examined life” – a life most worth living according to Socrates. Accepting with gratitude the challenges that come your way is the gateway to the journey of the road less traveled that will give to you the rich paradoxical experiences of the most joy and pain that can be known and felt. Being open to and aware of being a work in progress is a pathway to self-forgiveness. A pathway to forgiving others who have or will hurt you. It is the way to live fully in the now, in action, not only because of all that you are, know and have learned but also all that you know you still need to know more about. Have you chosen to actively engage the you that is a work in progress? The Johari Window model of understanding aspects of self can be a very effective way of mindfully understanding where you are in your journey as a work in progress in very aware understanding. There is always more to learn about yourself. There are always things in our lives that we are working on with the intent to do better. 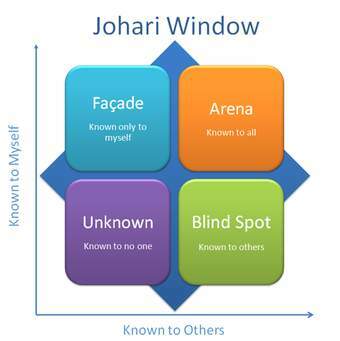 The Johari Window Model and process is one that I use with clients as well and it can help you uncover more of what you need to bring to your conscious cognitive understanding in the now to be a growing unfolding wonderful work in progress. Putting that intent into action by opening the vulnerability of the strength of being a work in progress will lead you to the healing, recovery, growth, personal development and/or self-actualization that you so richly deserve. © A.J. Mahari, February 2, 2016 – All rights reserved.